Whether or not you have superstitious beliefs, there are still some proven ways to bring good luck in the house. The principle behind this is simple- we are surrounded by a constant flow of energy around us. Chinese call this energy as Chi. The concept of Feng Shui (pronounced Feng-shway) is also based around creating a positive space in our homes or offices with proper furniture placement. Today we will study some easy ways to bring good luck into our homes. Wind chimes are known to bring good luck as well as money into the home. The best way to use them is to hang them at the entrance of the house. You can also place a wind chime at the furthest back left corner (viewed by standing looking at your home from the front street or from your house’s entrance). Never hang chimes where you study, work, eat or sleep as it suppresses the positive energy. Horses are considered to be lucky animals so it is no wonder that horseshoes are also lucky. The U-shape of the horseshoe is considered to guard your house from evil spirits. Always use iron horseshoe as iron is considered to be a lucky material. You can always buy the horseshoe, but it is considered even luckier if you are gifted it or you find one. Do not remove the nails of the horseshoe you find (as each nail represents additional luck!). When you attach the shoe to your door, use an odd number of nails to attach it. There are many ‘good luck’ items which you must always pick up should you find them. These are known to help you bring good luck into your lives and your home. They include: four-leaf clover, coins (with heads up only, avoid picking up tails up ones), pencil, postage stamps, yellow ribbon or anything purple in color. Never walk past these objects if you see them-it is important that you pick them up! If you find a caterpillar, pick it up and toss it over your shoulder. This may not be lucky for the caterpillar but it will be for you! A cricket in the house brings good luck! A frog brings good luck to the house it enters. Blue clothes are considered really lucky. The color of the sky is also blue which repels the negative energies. So wear blue on the days you wish of good luck in your life. The Native Americans believe that Kachina dolls ward of negative spirits as they themselves represent our passed ancestors. The dolls are painted in 6 different colors for the 6 cardinal directions and may be displayed in the house accordingly or may be given to kids to play with. The key to bringing good luck in the house using Kachina dolls is to make them an integral part of your lives. Wearing ladybug charms or brooches can also bring good luck into your homes. Keep a garden and encourage ladybugs in it. It is considered bad luck if you kill or brush them off. 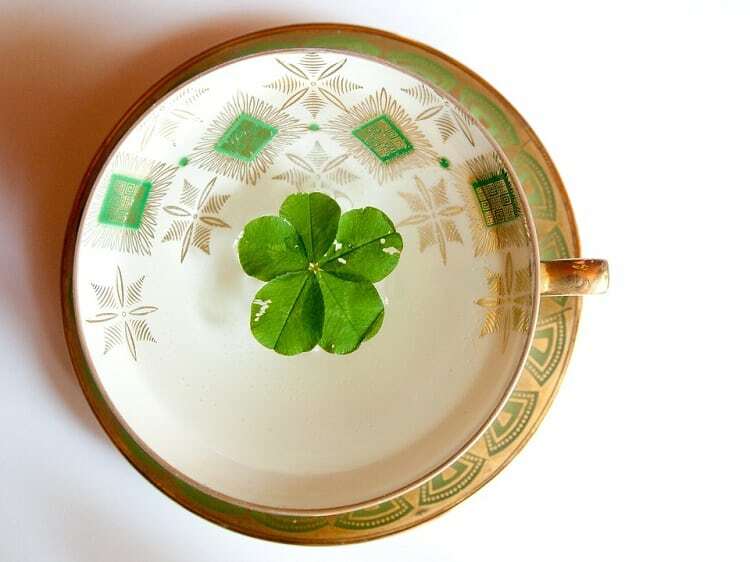 Many plants and herbs are considered to bring luck into your home. Place Irish moss under the doormat to bring money and good luck into your lives. Hang Aloe Vera and Catnip in your home-both are very lucky. According to Feng Shui, bamboos are very lucky for the home. Place the bamboo in the East for good health or South east for money and good luck. Love and care for your bamboo plant and it will love you right back! Four leaf clovers are good to find. If you find one, keep it in your house for good luck. A mistletoe in the house rings fertility and good luck. It also protects the house from lightning. Plant shrubs and trees with rounded leaves near the entrance instead of those having sharp, pointed leaves. This is because; rounded leaves balance and harmonize energy, while pointed leaves push it away. According to Feng Shui, Mirror placement can impact the luck and positive energy in your house. Always use square or rectangular mirrors and hang them at least 4-5 feet above the ground. Keep them clean at all times. If possible, place the mirror in such a manner that they relfect the greenery outside; this will bring positive energy into the house. Keeping the toilet lids open makes the positive energy drain away. This is another Feng Shui principle for attracting wealth and good luck into the house. You can arrange plants or use attractive vases with fresh flowers and other decorative objects to jazz up the entrance foyer. Never clutter this area with shoes, books, or coats etc. Running water is calming and cleansing and also attracts positive energy and luck. Place a small portable water fountain outdoors during summer and bring it indoors during winter for luck. Your home should always be free of clutter. Clean all the rooms every now and then and throw away things you do not need. Dust and vacuum the rooms every few days. Keep trash covered and in designated areas. You can diffuse essential oils like Frankincense, Lemon or Lavender to keep the house smelling clean and fresh. Meditation can give you inner peace and strength which, in turn, makes you more positive.When your thoughts are clear and happy, the Universal energies automatically get directed to bring you good luck, health and wealth. These are the 14 easy ways to bring good luck into your house. Jacob Olesen is the founder of easyWays.net. One of his goals is to get more out of life with minimal effort, and he built this site to share his experience through practical, actionable and powerful guides. Do you like our website? Tell us what you think. You are also welcome to send us a quick email. Always contact your doctor for medical advice.